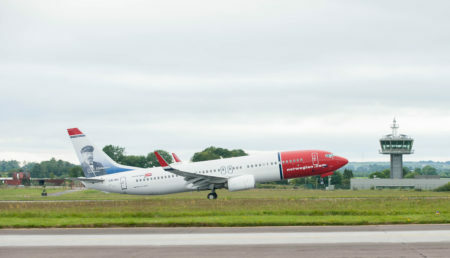 Cork Airport is celebrating the first anniversary of its non-stop transatlantic service to Boston Providence with Norwegian. Since take-off on the 1st of July last year, Cork Airport has seen over 31,000 passengers travel between Cork and the US on the three times weekly route. 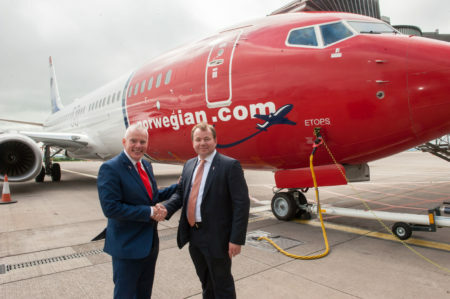 This direct transatlantic service has benefitted the south of Ireland hugely in terms of inbound tourism from the US, with 60% of the passengers who use the Norwegian route being US visitors. Tourism Ireland recently confirmed North America continues to perform extremely well with arrivals up +12.4% in the first five months of 2018. Cork Airport’s Managing Director, Niall MacCarthy said: “As Cork Airport’s first direct transatlantic service, Norwegian’s Cork to Boston Providence route has opened many new doors for both business and leisure passengers in the region and has proven vital for those travelling between the south of Ireland and the east coast of America. It has been a rewarding year for Ireland’s second largest and best connected international airport after Dublin, with a passenger growth of 3.5% in the first six months of 2018. This growth is a direct response to Cork Airport’s ongoing efforts to secure new routes and services for the region with a further three new services launched this year. Chairman of the Cork Branch of the Irish Hotel Federation (IHF), Neil Grant said: “Over the past year, the volume of US visitors to hotels in this region has grown substantially due in no small part to the transatlantic route into Cork Airport. Direct access into Cork for the Wild Atlantic Way has rewritten visiting US guests’ itineraries significantly. With Ireland’s Ancient East also building more and more traction overseas, the Cork to Boston Providence flight came at the perfect time for Cork and the surrounding region to capitalise on this new-found visibility for Irish tourism through our southern gateway. The Cork to Boston Providence route links Cork Airport with TF Green Airport in Providence, Rhode Island, located an hour from Boston and less than two hours from the famed Cape Cod.